October 2014 – When In Beirut! But today I felt like eating something as crispy as french fries and I decided to make this recipe! Slice the zucchinis like french fries. Put the pita in the oven till it’s dry and crispy then break it into tiny little crumbs. Add the grated cheese, the salt and whatever herb you decide to use. Dip the zucchini sliced in the egg white and then dip them in the Bread/cheese mix. Spray some cooking oil on a baking tray and put the zucchinis. I used a non sticking cooking sheet so I don’t have to use oil. Bake for 20 minutes at 200 degrees (Celsius) or 425 degrees (Fahrenheit) . I used the Marinara sauce for dipping. The mix is just delicious! I am very proud of this dish, and I will certainly make it again in the next few days. Try it out yourselves and leave me a review! I found the recipe here but I cut everything in half since it’s my first try and I was afraid I’d mess it up. Luckily it turned out to be AMAZING!!! I did not use Parsley (I didn’t have any available) and I didn’t put grated carrots (I didn’t want it to be too sweet). I also added some black pepper. 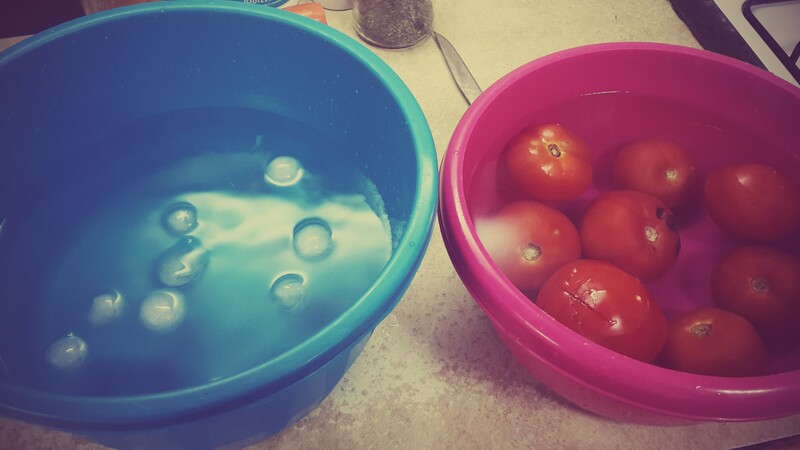 How to peel tomatoes easily:Drop them in boiling water for around 20 seconds and then drop them in an ice bath. It will peel a lot easier this way! The house was filled with the smell of Italy! Everyone absolutely loved it! I stopped cooking it after an hour and a half (not 2 to 3 like the recipe since the quantity was cut in half). 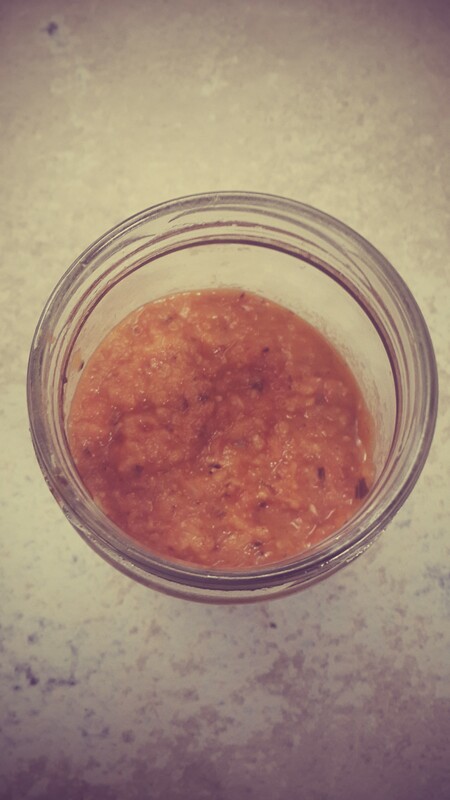 I wanted it to be more of a puree to be easier for dipping, so I used the food processor while it’s still hot. Store in a jar for a week! PS: This recipe takes 2 hours cooking time because it is made using fresh tomatoes. You can make this in 10 minutes using canned tomatoes (you can buy them anywhere), but I’m a fan of fresh ingredients and nothing that could have suspicious ingredients. BUT, if you make your own canned tomatoes at home when it’s tomato seasons, go ahead and use them!